Ever since flying cars became a possibility, technology companies have not been able to shake off the idea of creating an Uber for short aerial commutes – including Uber, itself. And a company, which is promising to do so is Kitty Hawk which is funded by Google co-founder and Alphabet CEO Larry Page. After two years of stealthy testing, the New Zealand-based company has unveiled a fully-electric flying taxi called Cora which can be called using your smartphone. Cora, as per Kitty Hawk, can fly up to 100km in a single charge and the company hopes to make it commercially available in the coming three years. It is driven by a self-flying software and lifts off the ground using 12 rotor fans – each works independently to fend off any malfunction – in a vertical helicopter-like style so that a runway is not required. Cora is designed to accommodate two passengers at a time. Kitty Hawk claims that Cora can fly between 500 and 3,000 feet at speeds in the range of 110mph (approximately 180kmph) with a single propeller. The self-flying aircraft is equipped with three independent computers which can be used to keep the aircraft air-borne even if one of them fails. The aircraft also has a parachute to deal with dreadful situations like a complete shutdown. Zephyr Airworks is Kitty Hawk’s operator in New Zealand and is also developing an app which will allow users to hitch flying rides in future. Led by former Google X chief Sebastian Thrun, Kitty Hawk plans to limit its operations to New Zealand currently and is expected to be gain support from the current Prime Minister Ms. Jacinda Ardern. This in line with the nation’s plan, reports New York Times, of being “net carbon zero by 2050“. 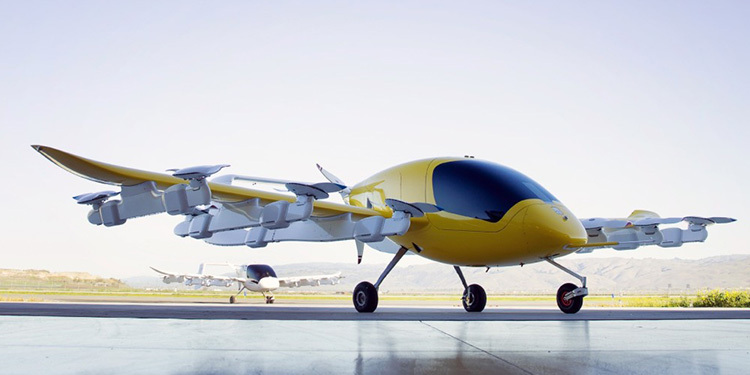 With the support from the government, New Zealand is likely to lead the formulation of a regulatory framework for flying taxis which could be used as a benchmark in other countries like the UAE which are testing other passenger drones.